Cadillac has recently shared its models like ATS, CTS and CT6 that are coming up with better looks and power. In queue to same at the Frankfurt Motor Show 2015, they unveiled their spectacular Cadillac XT5 2017. The model is speculated to have better engine options and is undoubtedly adorned with much better looks. 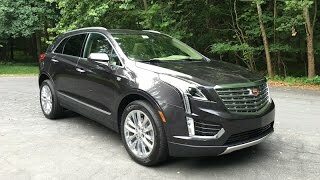 Let us have a look at the review of Cadillac XT5 2017 to know more about it. The interior of Cadillac XT5 2017 has numerous new amalgamations that make it distinct. In the same lieu, the first thing that will come across you as soon as you’ll enter is the cut-and -sewn wrapped panels. Unlike other models, this particular creation uses rear view camera mirror system; the model comes integrated with 4G hotspot which is further accompanied by the Apple CarPlay and Android Auto for smartphones. Talking about the center stack, it now comes with updated version of the CUE system for faster work and over a larger screen. There is also a charging dock in the center console, which will help you keep your smartphones charged on the move. Features like climate controller, transmission shifter and electronic shift control are standard with the model making your drive convenient. 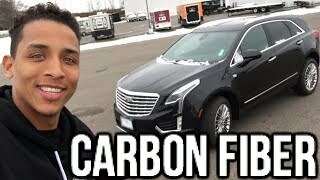 In all the interior of Cadillac XT5 2017 is well equipped with features that will make your rides far more comfortable and full of entertainment in comparison to the other models. 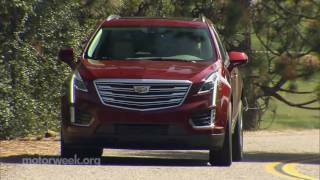 The exterior of Cadillac XT5 2017 features a sophisticated look. Starting with the front fascia it has the traditional egg crate grille sitting amidst the standing LED headlights. The section comes with a drop down close; the mechanism commendably separates the set of lights. Though I personally believe that when lighted together the front end looks far more aggressive. Apart from these the contribution made by the wheel arches and fenders is also commendably noticeable. Just like the front the rear end too has the marks of boldness, especially through the light below the bumper and between the two exhausts. 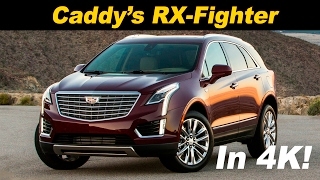 In all rounding up the exterior of Cadillac XT5 2017 has everything that will impeccably splatter boldness and aggression. 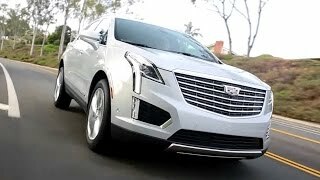 Beneath the hood of Cadillac XT5 2017 is a 3.6 Liter V6 DI VVT engine generating total output of 310 hp the peak torque isn’t yet mentioned but its comes mated to eight-speed automatic transmission with Electronic Precision Shift. The performance figures of Cadillac XT5 2017 are not yet shared but we expect it to be out soon and we assure to share them with you all as soon as possible.